Private lessons are given weekly and are utilized by many students looking to improve their skills, or get a leg-up on other classmates. Martial arts personal training can benefit a novice student wishing to “tone up”, or a superior athlete wishing to enhance everyday workout routines. Individual sessions are given on a one-to-one basis, in half-hour segments, in our private lesson space. These personal sessions focus on reaching optimum results of desired specific workout needs and wants. In other words, Black Belts tailor each workout according to what you want to achieve! 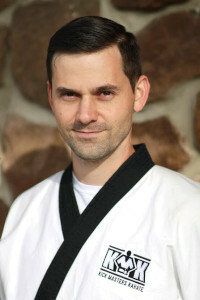 *To make specific arrangements regarding martial arts private lessons, please contact the studio at 301-689-8874 for a list of available, qualified trainers.